“I Am: Heath Ledger” shows Ledger’s homemade videos, his artistic nature, and how soulful a human being he was. But more importantly, it reminds us once again of the crazy plans he had, and the dreams he wanted to come true. From this film we learn that Heath Ledger wanted to become a director. Having short movies had already helped him gain enough experience to try himself with something new. We find him during the filming of “The Knight’s Tale”, “Ned Kelly” and even “Brokeback Mountain”. Ang Lee described the actor as a person who, even with a small role, had the talent to steal the entire show. Naomi Watts, his childhood friends, Ben Mendelsohn and many more share their sweet memories of Heath Ledger, the way he would stand behind the camera to master directing skills, or repeat the same part all over again until he hit the required target. What we also learn about the actor is that he was a perfectionist, sensitive and too worried about doing less than he could. And then his iconic role as Joker in The Dark Knight is what will go down in history as one of the greatest. Heath Ledger was a great actor with so much potential that it will hurt to the core. 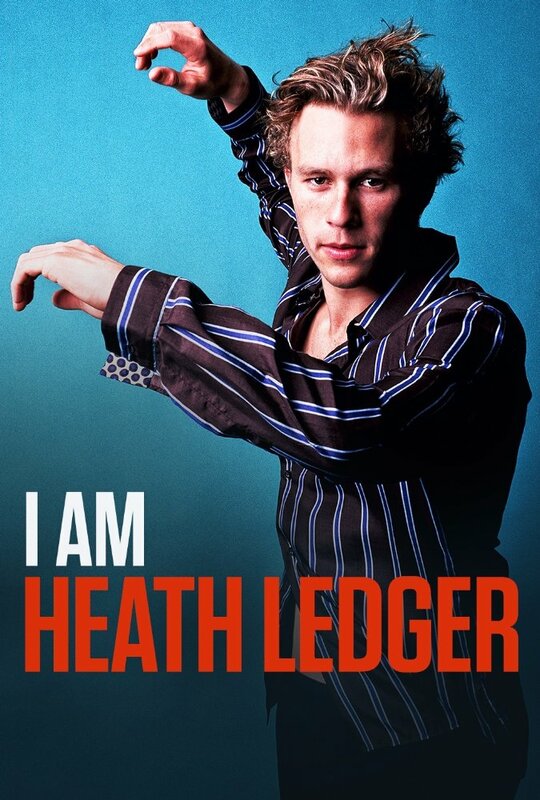 The format of “I Am: Heath Ledger” is truly mesmerizing. It is made in such an emotional way that, regardless of whether you cared about him as an actor or not, you won’t be able to leave the theater without dropping a one tear… if not more. The narrative is also deep and touching. The directing itself was done with a high respect and admiration towards the actor, who surely will be remember the way he was captured in this film. It, however, does not talk much about his personal issues or the demons he fought with, but as you watch the film, you can see why it was unnecessary to be brought up in this film. If that would have been done, it would have ruined the entire impression of this film. In conclusion, “I Am: Heath Ledger”, that saw its world premiere at Tribeca Film Festival is one of the best biographical documentaries films you would ever be able to see. It manages to touch the subject of Heath Ledger in a way that you will wish to cross to another dimension where Heath Ledger is still alive. Because by watching this film, you will realize like never before the great loss our world suffered when it had to say goodbye to an irreplaceable artist who could have done much more if he would have been given that much time….